How does someone from fire-mountain-less Virginia come to study volcanoes? I grew up in rural Virginia, USA, a land far away from any active volcanoes. However, I can’t remember a time when I was not fascinated by the natural world. I remember admiring and collecting the prettiest rocks in my gravel driveway as I waited for the school bus. As a kid, I regularly set out on heroic campaigns to Save the Earth–or at least rescue my street from litter and reduce water waste in my house! My parents and teachers were instrumental in shaping my confidence and scientific interests. After falling in love with Earth Science in high school, I headed to the University of Virginia (Wahoowa!) for undergrad and earned a Bachelor’s degree in Environmental Science and well-earned Chemistry minor in 2000. Along the way, I discovered that I could make a career out of picking up interesting rocks, and headed to the University of Hawai’i at Manoa (UHM) for my Master’s degree in Geology & Geophysics…and, naturally, that is where my interest in volcanoes developed. 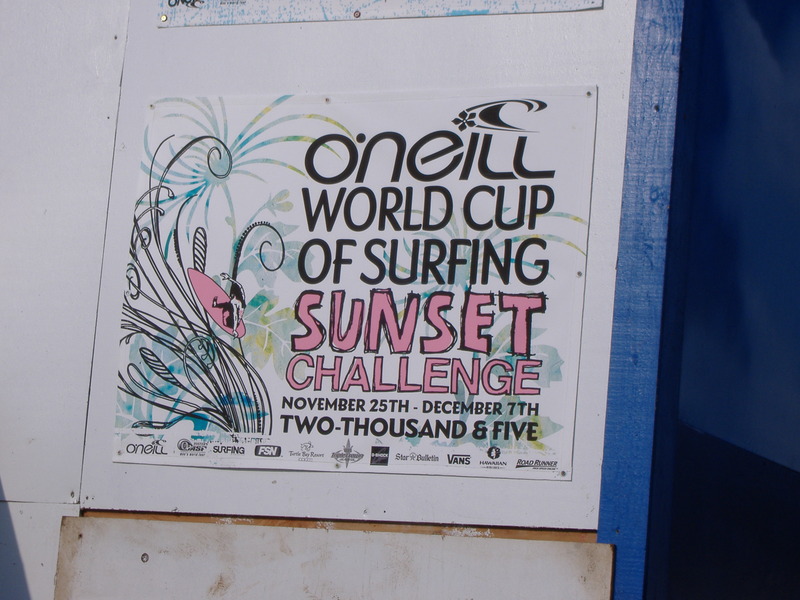 Of course, I did a lot of surfing while there, too. 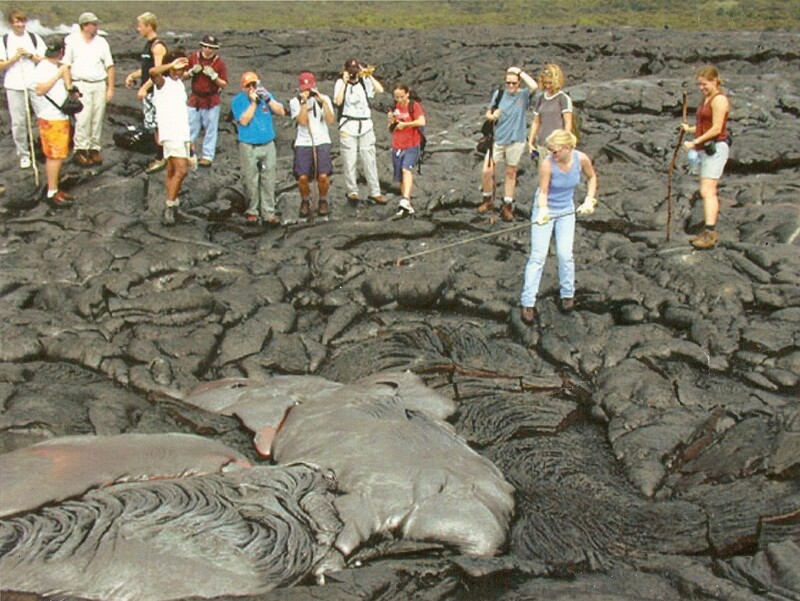 Sampling the lava flows on Kilauea. No, I wasn’t THAT good at surfing! I have worked as a geologist since graduating from UHM in 2004. I first resumed my childhood goal of cleaning up the environment as a hydrogeologist in lovely San Diego, CA. In 2008, life took me to New Zealand–and back to a land full of volcanoes once again. I have worked at The University of Auckland and been involved in the DEVORA research programme ever since. In 2014, I also started a part-time PhD in volcanology. Please click on the tabs above to learn more about DEVORA and my research! Photos by Elaine Smid unless otherwise indicated. I am inspired by your work you have done so far, and similar to you I am a volcano enthusiast from a land which is far away from volcanic activity – India. I did masters in Geography and then did masters in Urban Planning. I have always been inclined to natural events and their impacts ever since I remember. I am confused how an urban planner can contribute to the field of Volcanology or its associated impacts. Is there a scope of phd in this area? I would love to listen from you. Thanks so much for your comment, Rohit! Yay for being a fan of volcanoes even though you live far away from them–I grew up far away from volcanoes, too, and somehow made my way into the field! As the population grows, urban planners in or near volcanic regions (like Auckland) play an important role in figuring out where it is safest to place residences, businesses, etc. They also can help preserve volcanic areas in the city while balancing the needs of the population, and help with planning disaster recovery, e.g. where is it best to place volcanic ash during clean up operations? To that end, I’m sure there is a volcanic impacts PhD that would benefit from your urban planning expertise in some sense somewhere. Good luck on your volcanic trails! Thank you Elaine for replying. Wish you a very happy new year!